Norma Todd Ingalls passed away on February 2, 2019. She was born in Dallas, TX and lived her childhood and early adult life in Huntsville, AL. She attended Auburn University and taught school prior to marriage. In 1953, she and her husband, John Mellen Ingalls moved to Jacksonville, FL to make their home. Their three children were born there. In 1974, the family moved to the beaches area. John passed away there in 2006. 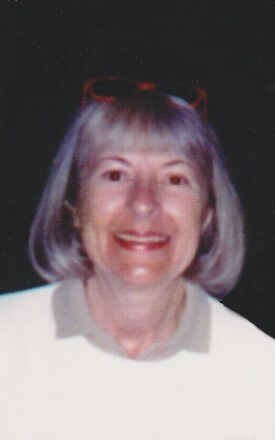 She was a lifelong Episcopalian, active in patriotic organizations and she and John loved traveling. The United Kingdom and Highlands, North Carolina were favorite destinations. Norma enjoyed her grandchildren, art classes, reading, stitchery, antiquing and genealogy. Norma was predeceased by John, her husband of 55 years. She is survived by their three children; John M, Ingalls Jr., Jennifer Ingalls Keeble and James W. Ingalls; six grandchildren, Laura E. Ingalls, Priscilla Ingalls Lee, John M. Ingalls III, Lauren A. Ingalls, Brandon J. Ingalls and Henry C. Detweiler; and three great grandchildren, Rachel E. Lee, Joshua J. Lee and Hannah M. Lee. Norma is also survived by her sister, Marianne T. Porter; and brother, William Todd both living in Alabama. A Visitation will be held on Friday, February 8, 2019 from 6:00 p.m. – 8:00 p.m. in the Chapel of Quinn-Shalz Funeral Home, 3600 Third Street South, Jacksonville Beach, FL. In lieu of flowers, a contribution may be made to Christ Episcopal Church of Ponte Vedra Beach, FL or to the American Breast Cancer Foundation.